I like to live green when possible (and practical and within my budget…I’m pragmatic that way). So I absolutely loved this green gift I received from a friend at work today. 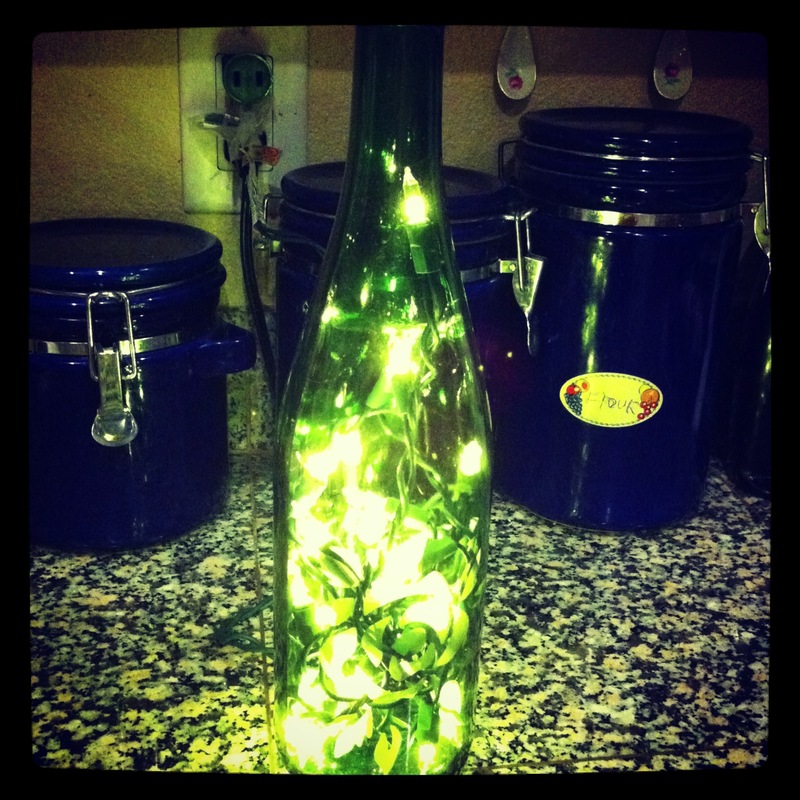 What a great way to repurpose and reuse a wine bottle! And it looks like I should be able to to replace the bulbs in the string of lights if need be, or I can just switch out the clear lights for another color. So of course now I’m thinking of ways to repurpose the handful of wine corks I’ve been saving (other than turning them into a cork board…I don’t have wall space for another cork board). 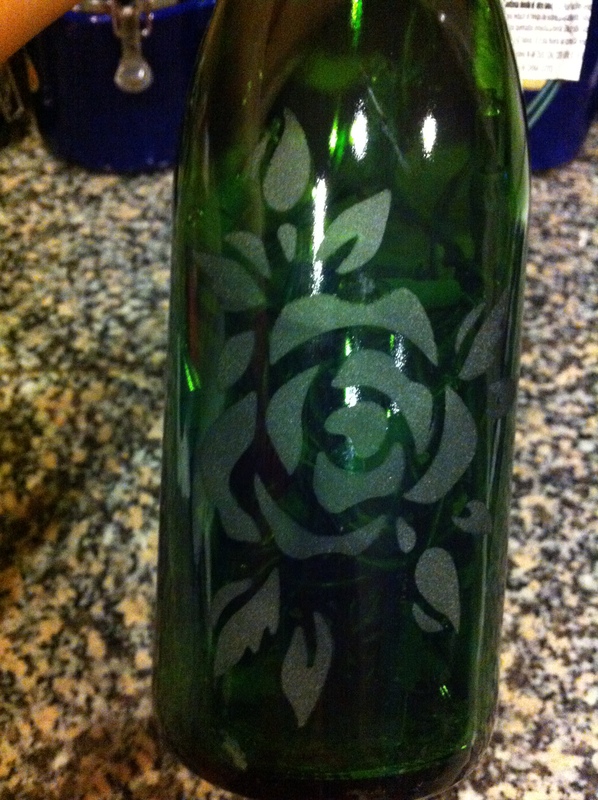 I’m thinking a few may become ornaments for a wine-themed Christmas tree later this year. If you have any other creative ways to repurpose wine bottles and corks, let me know. 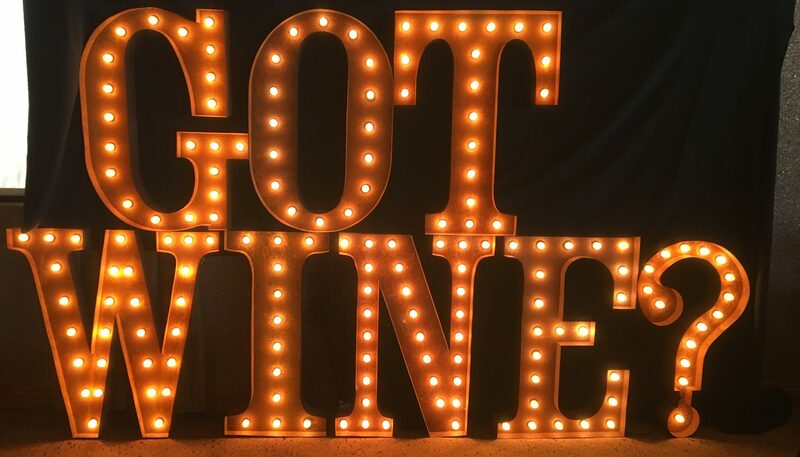 Perhaps we together we can start a decorating trend with wine!